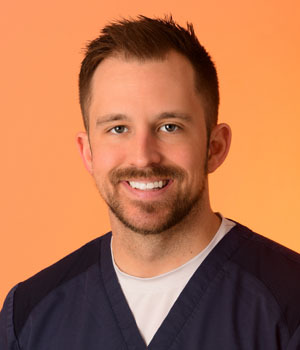 Dr. Chase Wicker - Cedar Rapids Endodontics P.C. Dr. Chase Wicker is from Lake View, Iowa. He attended the University of Iowa, graduating with a B.S. degree in Integrative Physiology. In 2015, Dr. Wicker received his Doctorate of Dental Surgery from the University Of Iowa College Of Dentistry. Immediately upon graduation, he entered into the University of Iowa Endodontic Residency program, receiving a Certificate of Specialty in Endodontics in 2017. He became a Diplomate of the American Board of Endodontics in 2018. Dr. Wicker is an adjunct faculty member at the University Of Iowa College Of Dentistry. He is a current member of the Linn County Dental Society, Iowa Dental Association, American Dental Association, American Association of Endodontics, and American Board of Endodontics. Dr. Wicker and his wife, (Ashley) have one child (Blair) and another “on the way”. He and his family attend the Solon United Methodist Church. Dr. Wicker enjoys spending time with his family, hunting, fishing, and supporting Hawkeye sports.